Clearance sale 50% OFF, and 20% off all Wheelchair Rental Purchase. Sales end January 31, 2016. 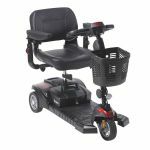 A wide range of wheelchairs, electric wheelchairs and motorized wheelchairs at Wheelchair rental Pros. Call us today for fast and friendly information on availability, pricing and reservations. One of our friendly staff will be happy to help with your reservation. Easy wheelchair rentals in Chicago, just call for immediate assistance. Our wheelchairs are safe, clean, user-friendly & comfortable. Our wheelchairs and transfer gear is thoroughly cleaned after every rental. We take pride in our work and strive to meet all local, city, state and public health requirements as our customers would expect. Qualified sales staff are waiting to help with your height, weight and seating needs and wants! Choose from many different type of equipments. We respond as quickly as we can to get you the most perfect chair possible and work hard to make your wheelchair rental experience as smooth as can be. Questions? No problem! We're here to assist you as best we can and ensure you get exactly the right chair. Whether it's a wheelchair, electric or motorized you're after, call us on (312) 404-8802 and we'll do our best to put a smile on your face with good old fashioned customer service. If you need something special that's fine too.